Pedego Boulder is the home of Electric Bikes in Boulder, Colorado. Whether you’re looking for an electric bike tour, a self-guided tour, or if you’re looking to buy your very own electric bike the staff at Pedego Boulder are ready to help! 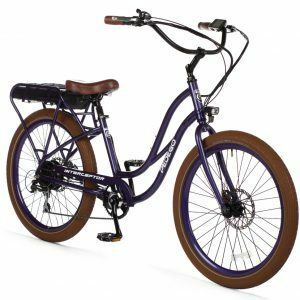 Pedego Boulder has more than 16 different electric bike models so there’s a model for everyone! Want to commute to work without the hassle of parking? 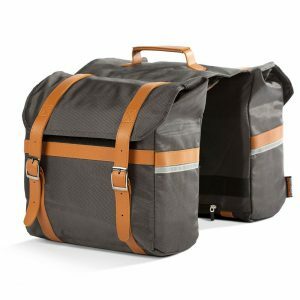 Check out the City Commuter! Want to take the kids to school without waiting in a line of minivans? Take a ride on our Stretch cargo model! The passionate staff at Pedego Boulder are happy to set you up with a free test ride today so stop by to learn everything there is to know about ebikes! A Pedego electric bike rental is the best way to experience the mountains and fresh air of Boulder and the Front Range! This cyclist’s haven features endless miles of bike paths, bike lanes, and quiet mountain roads just waiting to be explored. Visitors often say it’s the most fun activity of their trip; seeing all of the sights of Boulder without sitting in traffic or looking for parking makes your visit memorable, not stressful! Our trained staff will help point out some of the most popular destinations in the area and the most enjoyable routes to get there giving you the option to lead your own self-guided tour! I recently rented some e-bikes for my parents who were in town visiting. The staff helped make my parents feel comfortable with how the bikes worked and gave good suggestions for where to go. We toured up Boulder Creek and then whipped over to the summit of NCAR, a climb they probably couldn't have done without the electric boost. The bikes were a fantastic equalizer and I got a great workout in keeping up with them. We'll definitely be back either for another all-day rental or maybe just a 2-hour quick ride! We took the mountain bike tour (approximately 2 hours). It was such a fun way to see some scenery, get some (nonpolluting) exercise and share the "It's Better in Boulder" perspective with out of town company. I will definitely add this to my ever growing out-of-towners to do list! The E-bikes even out age, altitude and fitness differences. So much fun! Kingsley is pleasant, informative and low key so you feel like you are riding with a friend.QUALITY bikes too! We all LOVED this tour! Kingsley is amazing and goes above and beyond to make your trip special! The electric bikes were new for our boys and they loved it and so easy to use. Our youngest is ready to do it on his own! We are already ready to go back for more. Thanks for making this trip so special! Plus ... our pictures from the tour are AMAZING! Thank you and we will be back soon! Attention all thrill seekers! Jump on Pedego’s award winning full suspension Elevate Mountain Bike and head for the mountains. Select 1 of 3 electric assistance modes as you wind your way along the renown Switzerland Trail and enjoy some of the best backroad biking Boulder has to offer. Soak up the 4×4 road’s challenging terrain using the Elevate’s wide trail tires and feel what it’s like to ride high up in the Rockies! Then take one more stop for a panoramic picture at a mountaintop viewpoint before riding back on this epic trail to the starting trailhead. You have been Elevated! Hop on an Electric bike at our downtown shop and wind your way along Boulder Creek through charming neighborhoods on your way to the trailhead of a local favorite hike. No need to worry about parking or traffic. This excursion gives you the best of both worlds exploring Boulder’s amazing sights on two wheels and two feet! Considering a move to the happiest city in the USA? Come join a local real estate expert on an effortless tour through Boulder’s charming neighborhoods. Your guide will share knowledge about historical prices, current market offerings and point out some of Boulder’s most famous houses along the way. Riders will have a solid “lay of the land” after completing this loop. Be prepared to return home and pack up for your move back to Boulder. This tour is designed for students and their families who are considering attending CU Boulder. In addition to exploring the campus by bike your guide will lead you around “The Hill” and the surrounding “Off Campus” areas, sharing some points of interest and giving you a real feel for the “Buff Life”!